Good day everyone. 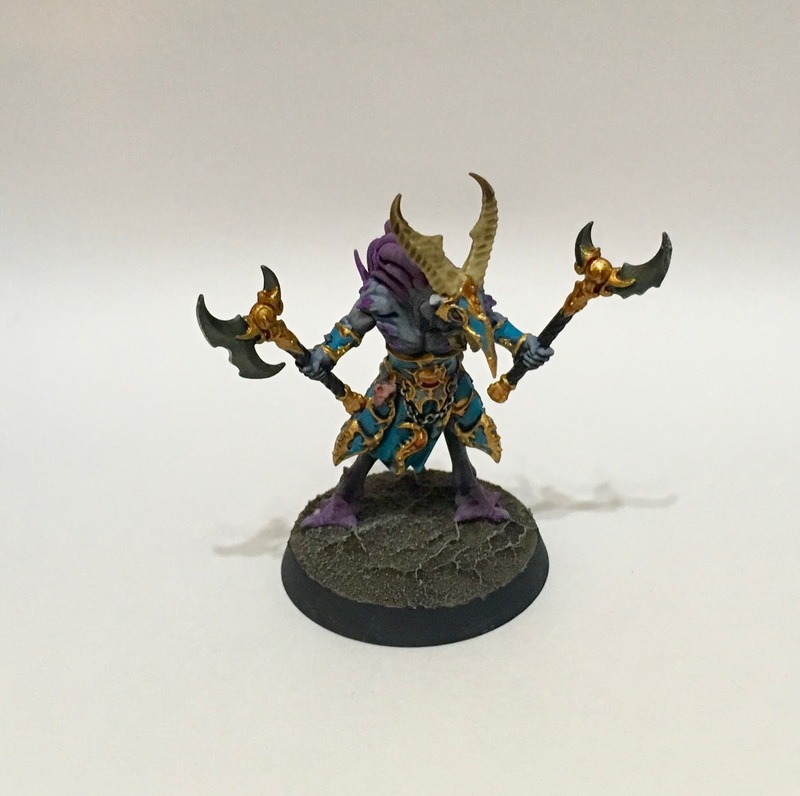 So carrying on with my Silver Tower 'How I Paint' Series, today I have for you the Tzaangors, the Daemon Beastmen of the Arcanites. These miniatures are so ridiculously detailed, they are quite daunting to start, but, as you can see below with a few tricks they come together pretty quickly. Here is 'How I Paint' them. I began by spraying the model Corax White and then sprayed Chaos Black from the bottom to give some zenithal shadows. I then mixed Drakenhoff Nightshade and Lahmian Medium together 50/50 and washed over the skin and armour panels. I then used Druchii Violet to wash the hair/tentacles and the feet, this gave an automatic blend to the legs. 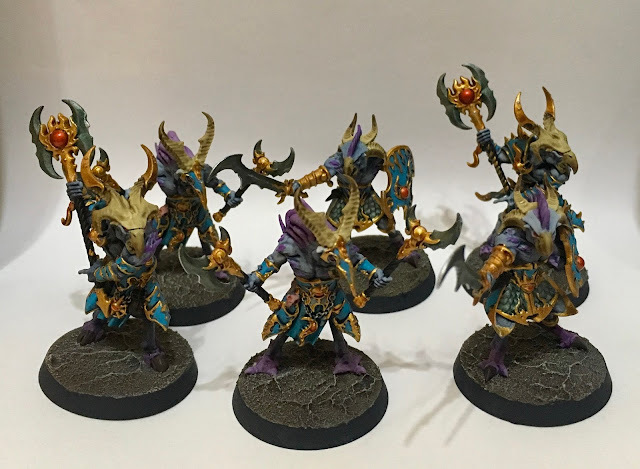 I base coated the horns with Zandri Dust. The next step was neatly apply the Temple Guard Blue for the armour panels and cloth. I painted the weapon handles with Abandon Black and the little markings on the body with Screamer Pink. The metallics were painted Leadbelcher and washed with Coliea Greenshade. The armour panel trims and other details as such were based in Retributor Gold. This is definitely the part that took the longest to do. I finally washed the gold with Reikland Flesh and highlighted all the metals with Stormhost Silver. The last step before basing was the paint all the Gem stones using the technical paint Soulstone Red.